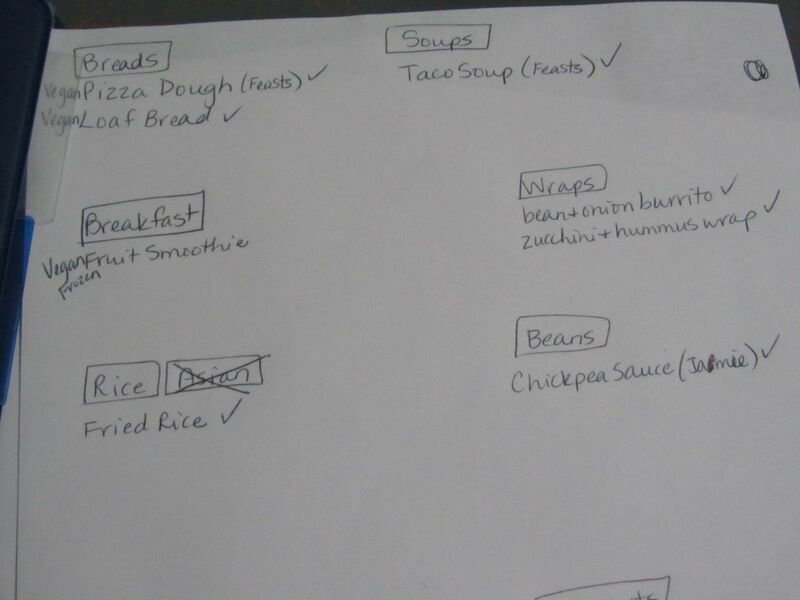 This is Part 2 of how I updated my favorite recipes binder after I started eating more vegan meals than meat/dairy meals. These are my new categories. Before, they were chicken, beef, pork, etc. Now, they are beans, rice, salads, wraps, veggies, etc. Yes, there is one category for meats, as I do prep and freeze hamburger patties, fajita chicken, etc. for my husband. Still, it’s only one category, instead of 8 or so like it was before. 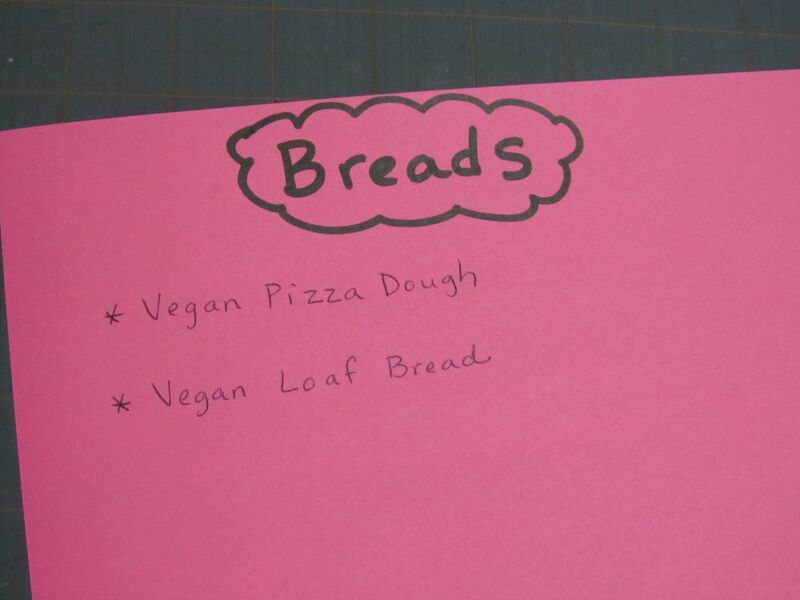 When I did my favorite recipes binder before, I hand-wrote the recipes. This time, I typed them, which went much faster. It also makes it easy to e-mail or print a copy for a friend. For each category, I listed the category name and any recipes underneath. This shows the Bread category. 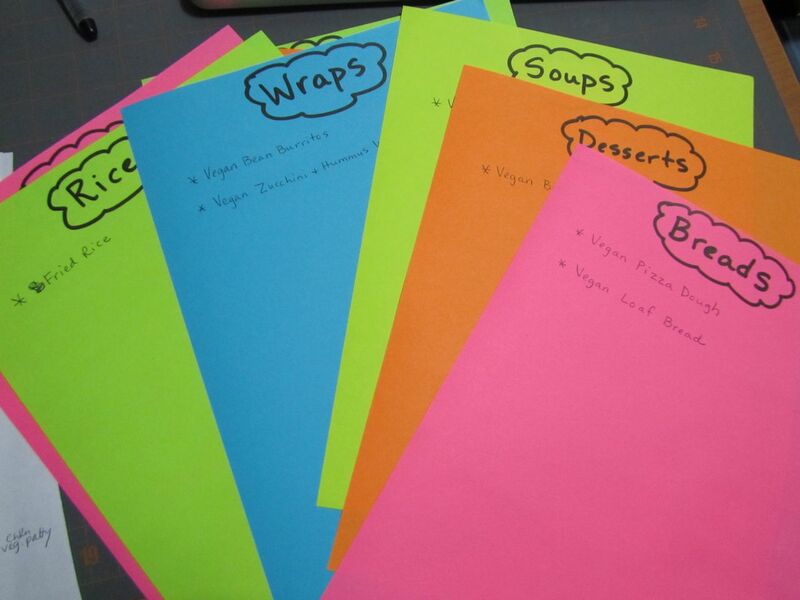 There’s a divider, a colored title page, and the recipes in the sheet protectors. Here is the updated favorite recipes binder! 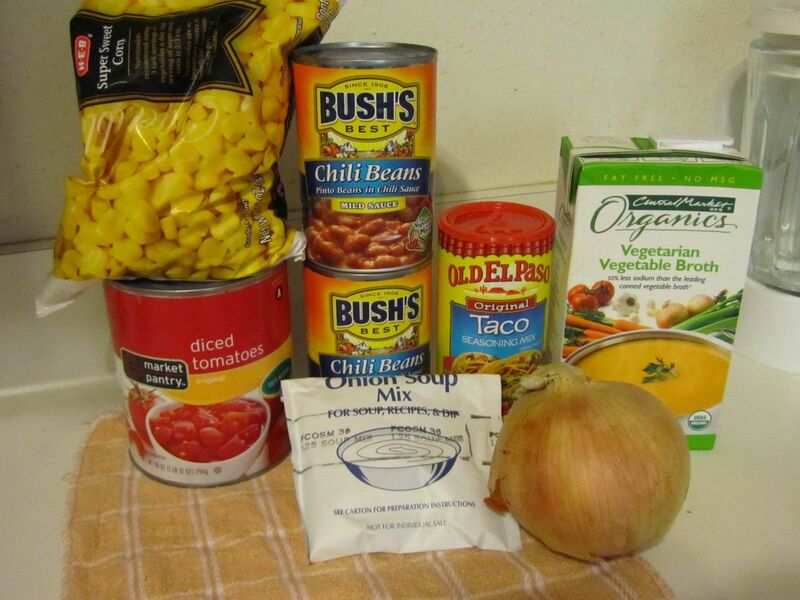 These are the ingredients for making vegan taco soup, based on a recipe from Family Feasts for $75 a Week. 2. 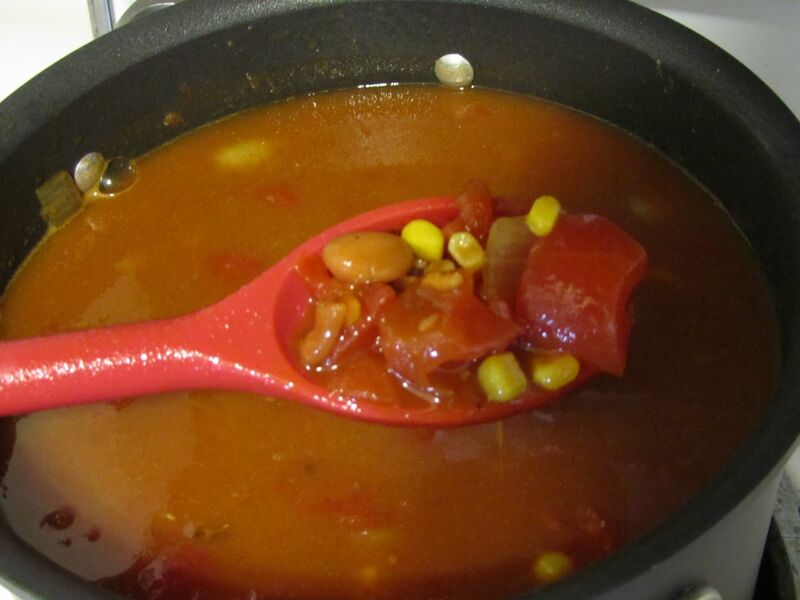 Add everything else and cook for 45 minutes. That’s it! This recipe freezes beautifully. I have 2 binders. One has a smorgasbord of recipes. 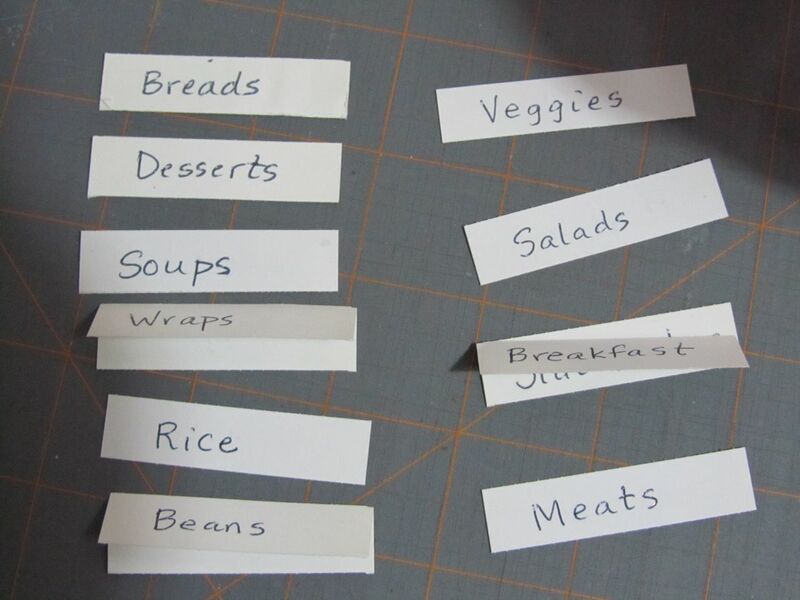 They’re on sticky notes, note paper, printed recipes, etc. It’s not organized at all. It’s where loose paper recipes go, whether I’ve tried them or not. 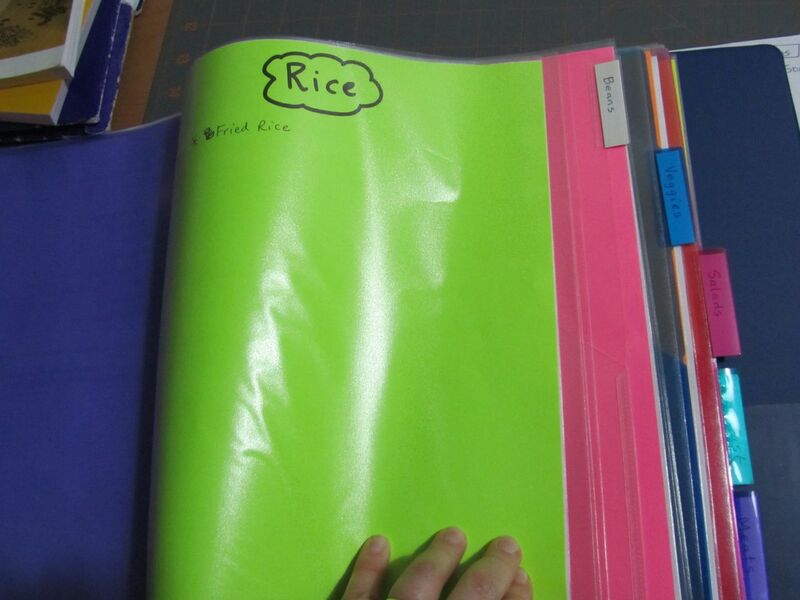 I have another binder with divided sections for favorite recipes. 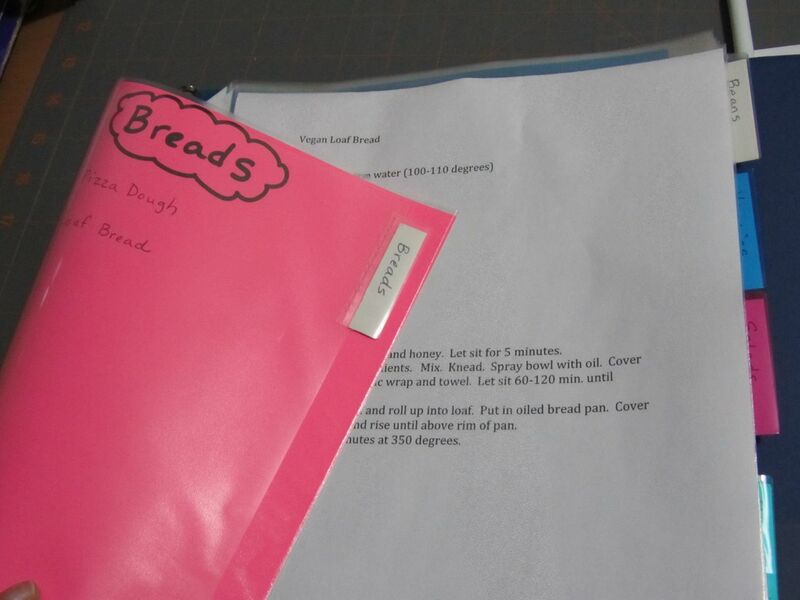 These include recipes from cookbooks and the anything goes binder. 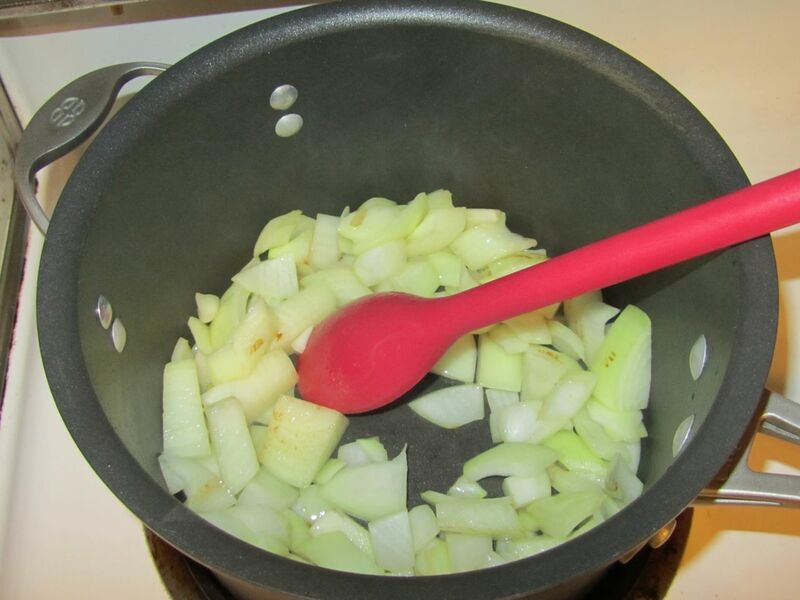 The difference is these are my frequently-used recipes. After going vegan for a month, I now find myself eating meat only once a day, if at all. I needed to redo the binder of my favorite recipes, because the categories were chicken, beef, roasts, seafood, etc. I pulled out all of the recipes in the favorites binder and decided to start fresh, including only the recipes I’ve been doing frequently in the last several weeks. This is the smorgasbord binder with recipes in no particular order. 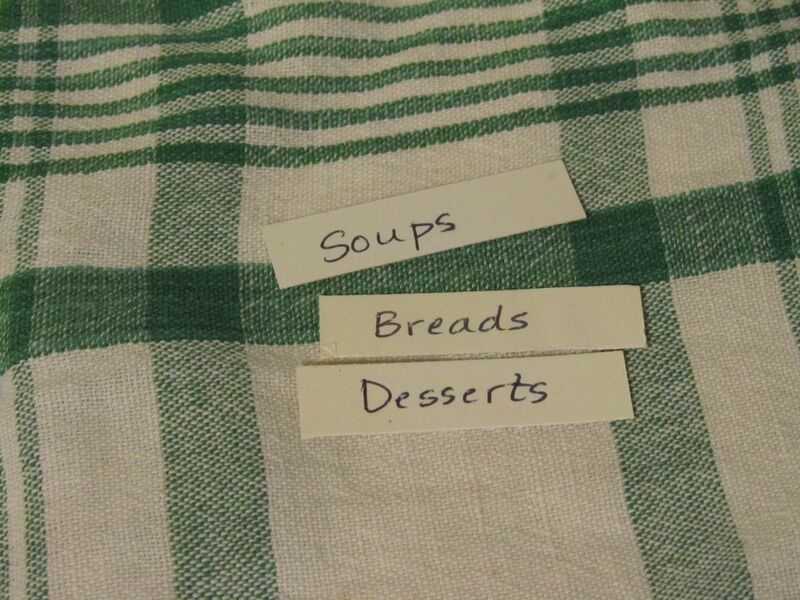 These were the only three categories I kept from the original favorite recipes binder. I have 10 dividers in the binder. Each section has a couple of sheet protectors for recipes. 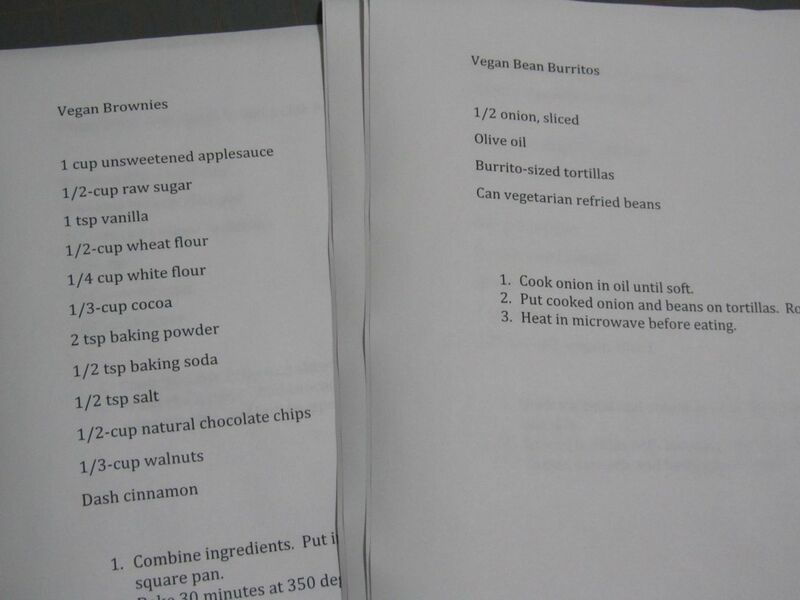 The sheet protectors help keep the recipes from getting wet, covered in chocolate, etc. 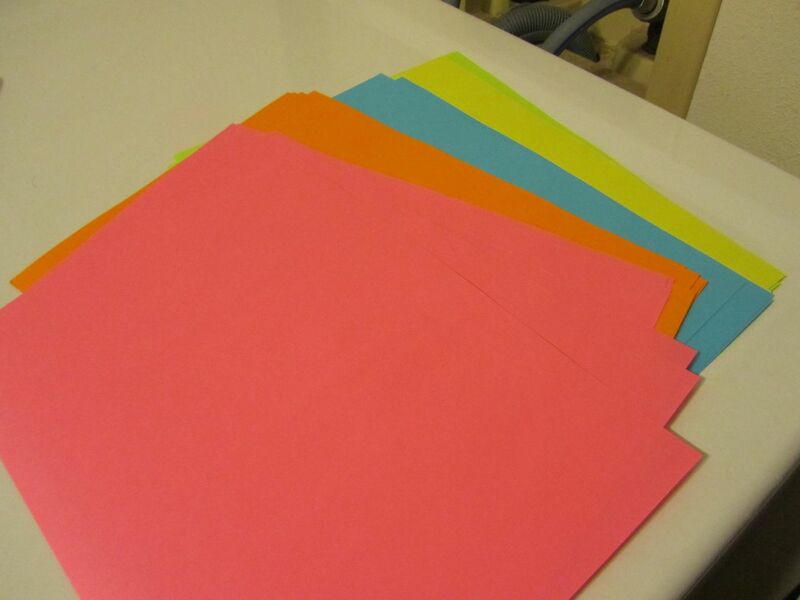 I had colored paper available for listing the recipes in each section. 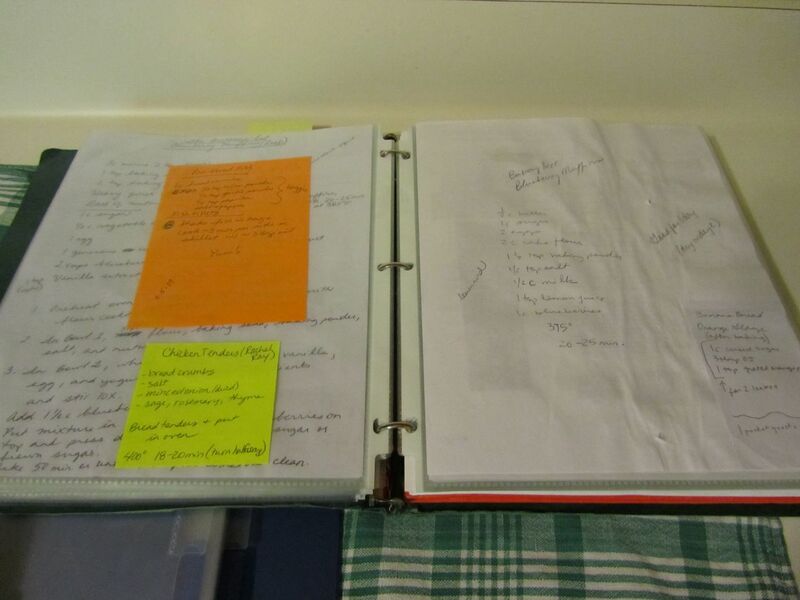 Here was my initial list of recipes I would include in the updated favorites binder. I created categories to match. 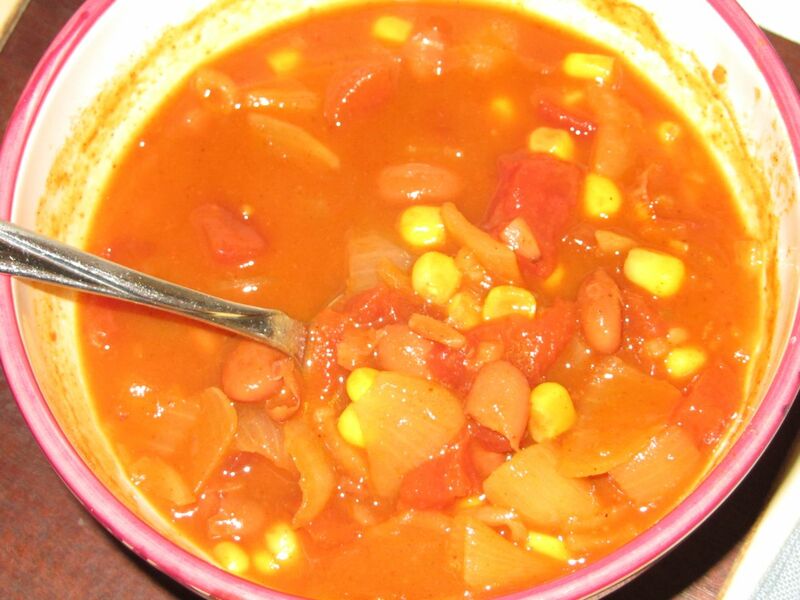 The recipes were modified versions of recipes I made before I started eating more vegan meals, along with new recipes I’ve picked up in the last several weeks. 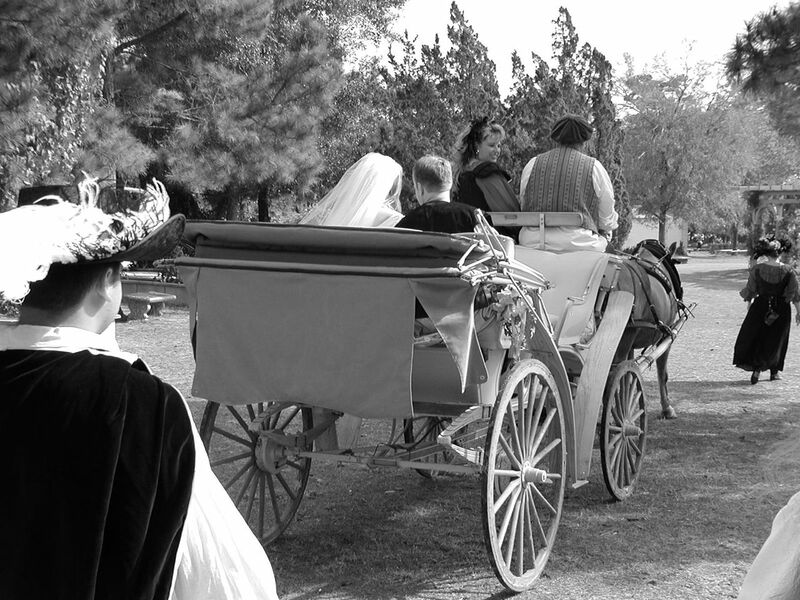 Check back in a few days for Part 2! …you text each other the exact same message at the same time…word for word. Last year, we bought special plant covers for freezes. Almost everything died. I called the company and they weren’t very sypathetic. This year, we decided to use bed sheets, because last year, we covered a few things with bath towels, and they did great. 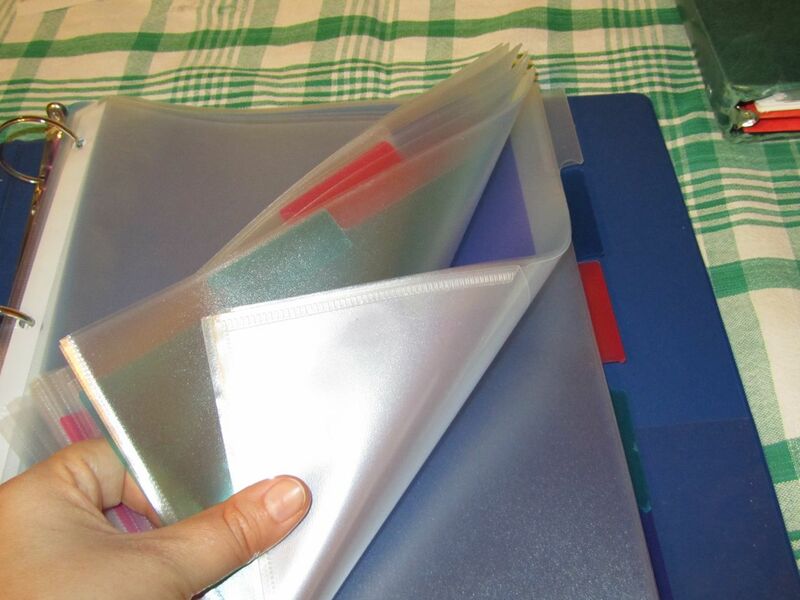 I went to a resale shop and purchased full sized sheets (they didn’t have anything larger). I got 3 flat sheets, 1 fitted sheet, and 2 pillow cases, as there was one complete set and 2 separate sheets. 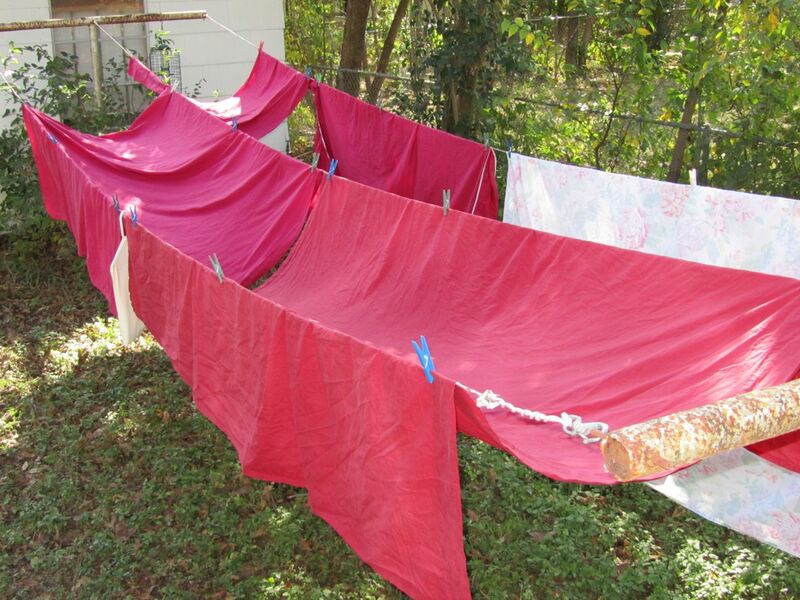 I washed them and hung them out to dry. From the home and garden store, as instructed in the Square Foot Gardening book, I purchased 2 PVC pipes, 10 feet long, 1/2 inch in diameter. They had two types. I purchased the ones that bent the easiest. I put the ends in opposite corners of my garden box, thus forming a frame that I can drape a sheet over when it freezes. I also used string to tie the two PVC pipes together at the top. 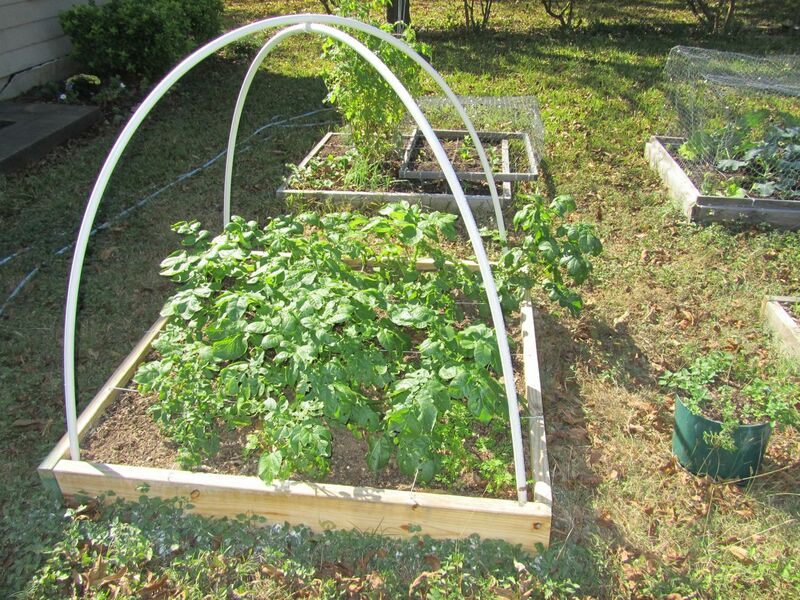 My other garden boxes have either tomato frames or wire cages, so they didn’t need PVC pipe frames. 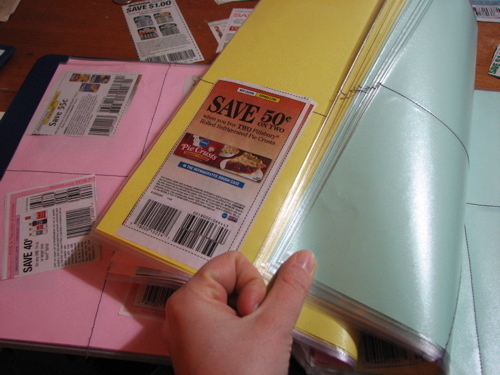 Want to make a coupon binder to organize all of your coupons? I’ve put all 3 posts on one page!